UV light is light in the "ultra violet" spectrum, beyond the violet part of visible light. Even though UV is not visible to human eyes it does effect the eyes and skin! UV light is what lets us produce vitamin D, which is essential for humans. But it can also burn skin - what we call a sunburn. We can measure UV in mW per area, but that's a little tough to keep in your head, especially if the area value is in cm or m or ft. To make it easier for people to track UV safety, the WHO came up with the UV index. The SI1145 is calibrated to transmit the UV index based on the visible & IR light received, but what do those numbers mean? As you're probably aware of - if you have lighter skin, you are more likely to get burned. So it's important to watch the UV index and wear sunscreen, hats, and sunglasses when the UV index gets above 4 or so! 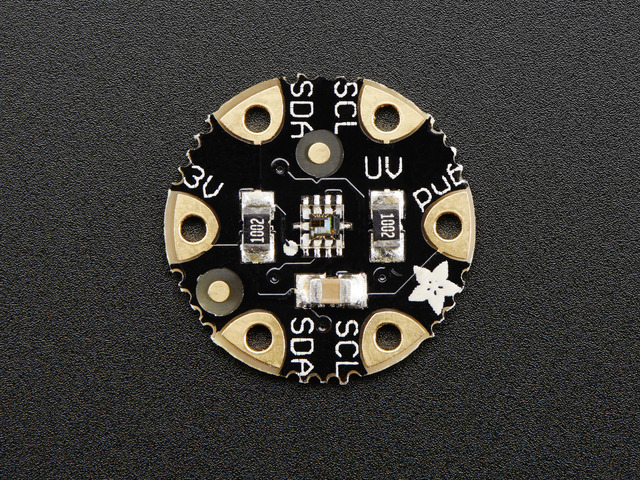 The SI1145 has a fixed I2C address (0x60), you can only connect one sensor per microcontroller! Place the Adafruit_SI1145 library folder your arduinosketchfolder/libraries/ folder. Now you can open up the serial console to see the various light levels and UV index printed out. In this screenshot I pointed a UV LED onto the sensor to simulate a really high UV index of 7. Indoors, expect to get a UV index of well below 1. Even glass windows are excellent at filtering UV light so if you want to measure the actual UV outside point the sensor right at the sun! 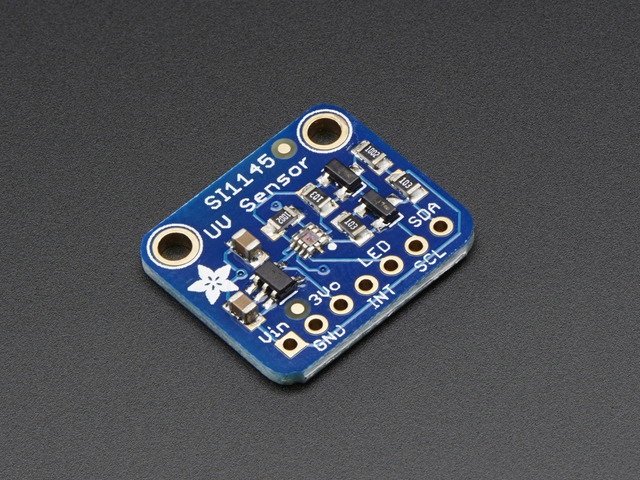 The SI1145 is primarily a UV index sensor, but it does have the ability to sense other kinds of light. However, those light levels aren't calibrated in our library. That is to say, unlike our Lux sensor, these are just values based on how much light the sensor sees, and there's no 'units' to them. Still, this might handy if you just want to keep track of light levels. There's also another capability that SiLabs shoved into this chip - a proximity sensor! We haven't done much experimentation with this part of the sensor but it does sort of seem to work. Basically, if you connect an IR LED to the LED pin, the sensor will pulse the LED and measure how much IR light is reflected back. This can be used to do basic proximity sensing. If you are interested in trying out the prox sensor, grab an IR LED and connect the + side to 3V or so, and the - side to the LED pin. Now re-run the si1145 demo, but with the proximity reading line uncommented! This guide was first published on Mar 21, 2014. It was last updated on Mar 21, 2014.